You are here: Home / Family Living / Household Hacks / 10 Freezable Fruits And Vegetables! 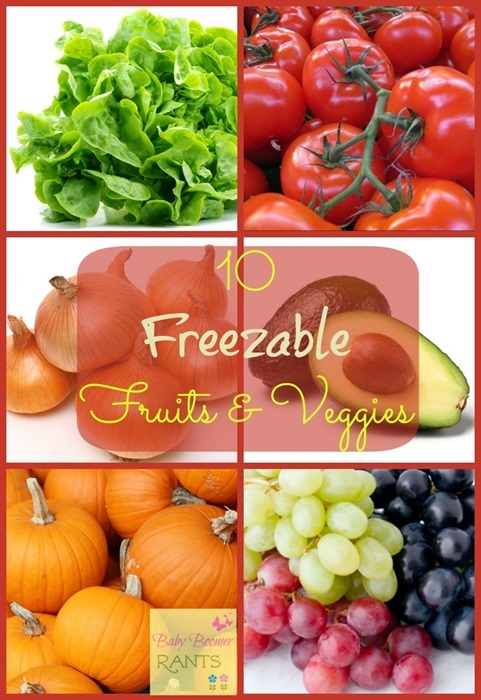 You may find this list of 10 Freezable Fruits And Vegetables surprising. Some of them I never thought of freezing, but it works! I buy things in bulk when I find a good sale. So, sometimes I may find a great sale on fresh vegetables and/or fruit. I will definitely “stockup”. Now, since they are fresh, I need to find a way to make them last, so I freeze all sorts of things from butter and cheese to fruits and veggies. Wash under warm water and pat dry with a paper towel. You need to get as much of the water off as possible. Place in freezer bag making sure to press all air out. With most berries you’ll want to wash them and remove any stems. Then allow them to dry before placing them on a cookie sheet covered in wax paper and placing in the freezer. Once frozen, place them in freezer bags and put them back in the freezer.